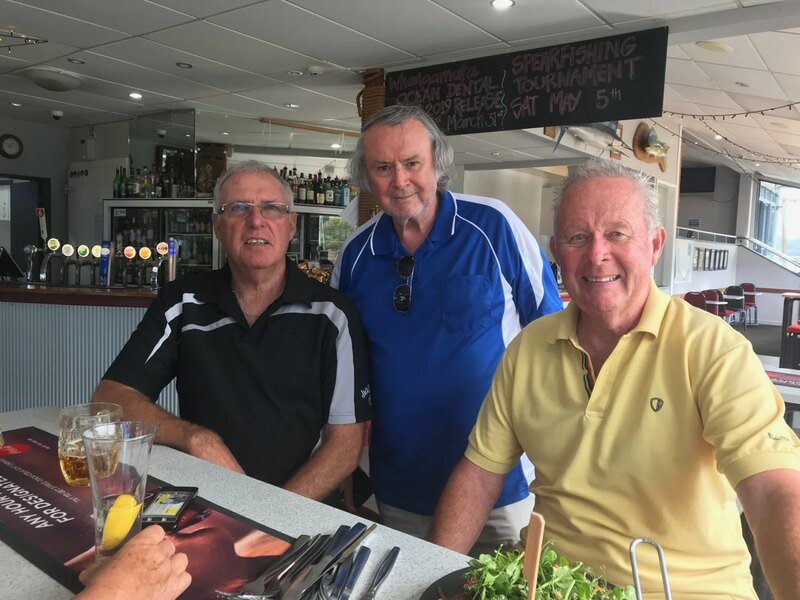 Three old seadogs got together recently in Whangamata to reminisce and tell a few lies. I have it on good authority that the three pensioners were all in bed by 7.oopm and lights out was just after 8.oopm. Good on ya lads. In fact, it looks like your twin brother James! Rods trying to impress us by sitting in front of a salad!